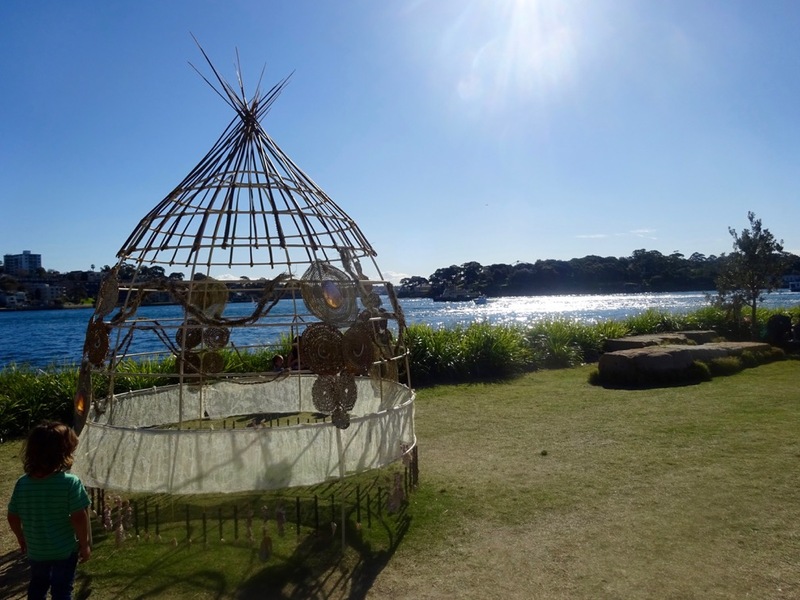 Captain Frank invited a friend out on the Sydney Harbour Sunset & Sparkle Cruise upon the product’s initial launch… So we decided to share her write up! 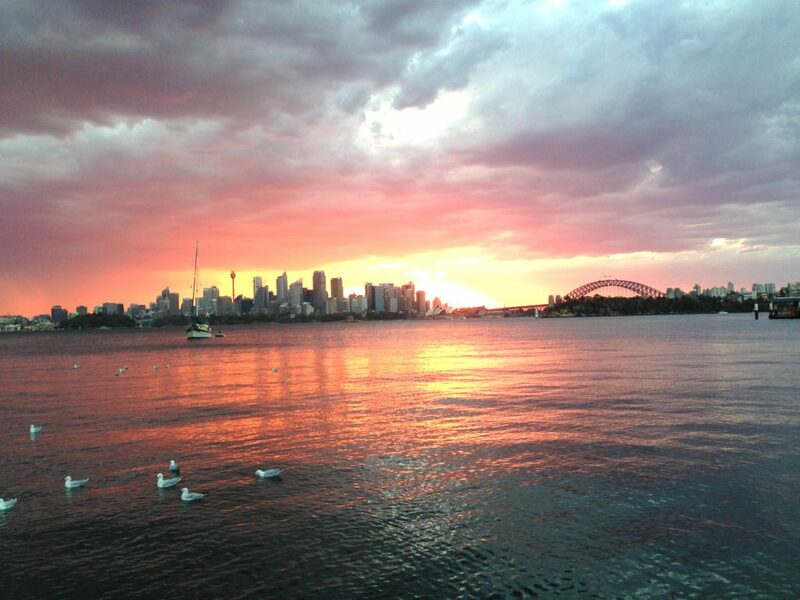 As a Sydney-sider I am often treated to a spectacular sunset, with glorious pink and red hues being spread across the sky like a blanket of fire. To say I am spoilt with views is an understatement, as these amazing sunset displays come out for show. Absolutely spectacular colours spread across the sky as the sun sets on a Summer evening. 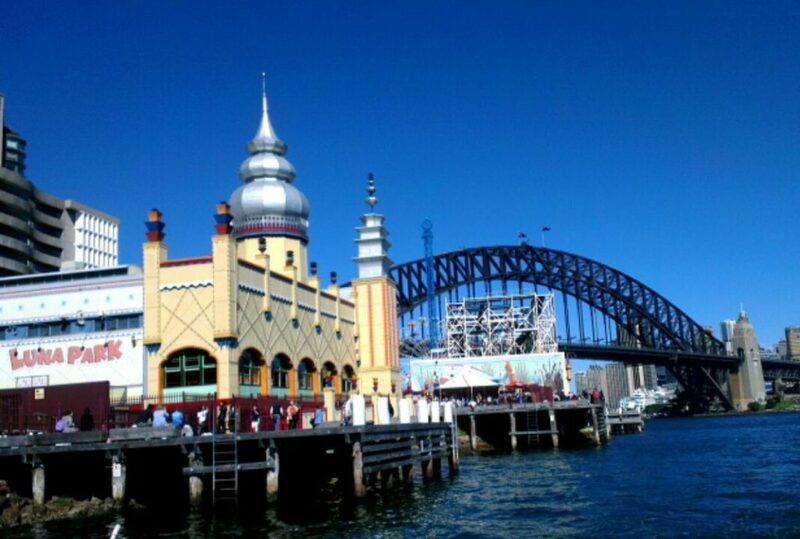 Image – Sea Sydney Harbour. 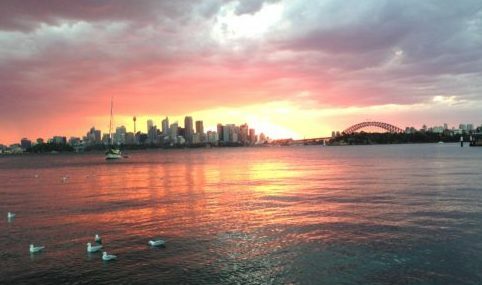 With Sydney having such vivid sunsets, the next question is where is the best place to capture such a picturesque occasion from? Of course we want the best vantage point so we have the footage to share across social media. Scrolling through the internet searching for the answer to this question… well it seems that such a discussion is open for debate, with many personal opinions being listed and with the images shared, it’s hard to say they are wrong. 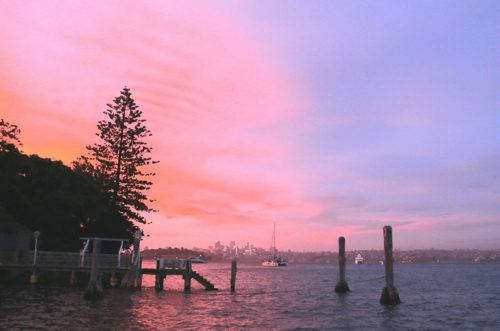 Put simply, Sydney has amazing sunsets and there seems to be a number of great spots to capture these from! 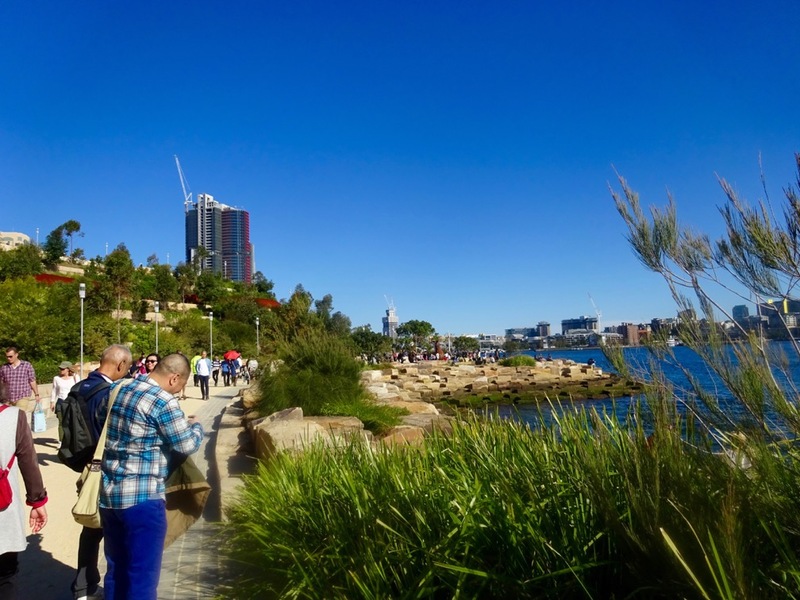 On this note, a common feature I did notice from the array of listed locations that I sifted through, was that many selected Sydney spots – Watsons Bay, Manly, Cockatoo Island, Sydney Opera House and a number of key harbour side hotels and restaurants – had one thing in common, Sydney Harbour. Thinking about it, the sun does look better glistening off the water. 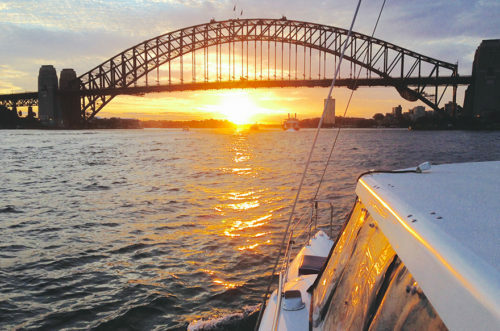 Just when I thought the idea of a Sydney sunset could not get much better, the opportunity arose for me to experience a gorgeous sunset aboard a harbour cruise. Wow!! To say the least, this was like front row seats at the opera, side line seats at the footy grand final and rooftop seats for an eclipse. Not only did I view the gorgeous sunset from a prime location, but I enjoyed a cruise around the harbour, where I relaxed, grazed on some nibbles and enjoyed a glass of champagne. Cruising the harbour, watching the sun set underneath the Sydney Harbour Bridge. Image – Sea Sydney Harbour. For the keen photographer, the lover of relaxation, the explorer of Sydney – the sun setting over Sydney Harbour is definitely a dream setting; a blanket of fire and beauty. The Sunset & Sparkle Harbour Cruise that I got to experience is certainly one to put into the schedule on your next visit to Sydney!